Featuring a fuselage virtually identical to that of the D I, the DII was flown as a prototype in the summer of 1917, this, the Aviatik 30.22, actually employing much of the structure of the 30.21 (see D I). The DII was characterised by a short-span cantilever lower wing, and a series of 19 aircraft was built for frontline evaluation, these being powered by either the 200 hp (Series 39) or 225 hp (Series 339) Austro-Daimler engine. A four-bladed Jaray propeller was fitted, and armament consisted of the usual paired Schwarzlose 8-mm guns. 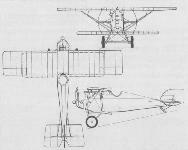 The first three series aircraft were tested in November 1917, and seven were evaluated at the front, but the decision that O-UF Aviatik should licence-manufacture the Fokker D VII terminated any plans to build the DII in quantity. One DII airframe was experimentally fitted with a 200 hp Hiero engine as the Aviatik 30.38, and participated in the July 1918 D-Contest. With the 225 hp Austro-Daimler engine the D II attained 137 mph (220 km/h). The following details relate to the 200 hp version. Max speed, 130 mph (210 km/h). Time to 3,280 ft (1 000 m), 2.6 min, to 6,560 ft (2 000 m), 6.6 min. Empty weight, 1,294 lb (587 kg). Loaded weight, 1,786 lb (810 kg). Span, 24 ft 7 1/4 in (7.50 m). Length, 22 ft 10 3/4 in (6,98 m). The first prototype of the DII, the Aviatik (Berg) 30.22 entered flight test in summer 1917 and employed much of the structure of the 30.21 which had been the third definitive prototype for the D I. 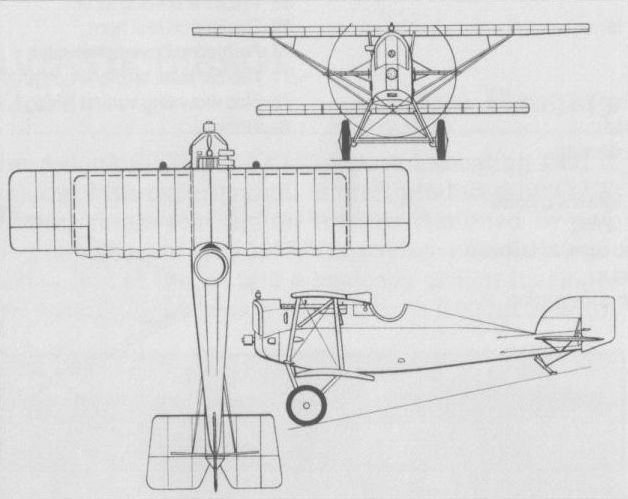 The DII series aircraft was tested in November 1917, but plans for large-scale production ended with the choice of the Fokker D VII.